After 30 years of service in the marine industry, Kevin Griffin is selling up to explore numerous other exciting interests. Fortunately for us it is not the end of Kev & Ian’s Marine. The iconic Kiwi brand launches into a new era under the experienced hand of Luke Sharp from Outboard Marine Technologies. Above: Luke (left) seals the deal with Kevin. Kev and Ian’s Marine will be relocating to new premises in Wiri, currently being renovated. Luke’s relationship with Kev & Ian’s dates back to the 1980’s when, as a typical kid overflowing with energy, he would play hide and seek with his mates in the boat yard and was even gifted his first computer by the outgoing Kevin Griffin. In 1998 Luke was placed in charge of spare parts and the showroom at K&I and the real work began, culminating in the change of ownership. Luke brings a steady hand and effective management style into the new look Kev & Ian’s Marine and is firmly set to build on the existing reputation of the company and expand the service offering to include new boat brands and packages. Like a well-oiled machine, Kev & Ian’s will boast a diverse boat yard with all service work being performed by Outboard Marine Technologies, located in the same industrial complex. The team at OMT led by Service Manager, Richard Sommerville, are all highly experienced and well-equipped to deal with the expected increase in work-flow. As expected from Richard, an exceptional level of workmanship will be maintained. The OMT facility itself is equipped with a six-bay service centre and separate lock-up yard. Jo Lomax provides a seamless integration between the past and the present migrating across to the new look K&I as the go-to person for all sales-related matters. Jo will focus on direct sales enquiries and on expanding the new boat offering. The existing chandlery store won’t be moving to Wiri but required chandlery items to fit out and deliver new boats will be kept. Wiri is situated in South Auckland with easy access to both the SH20 & SH1 motorways. 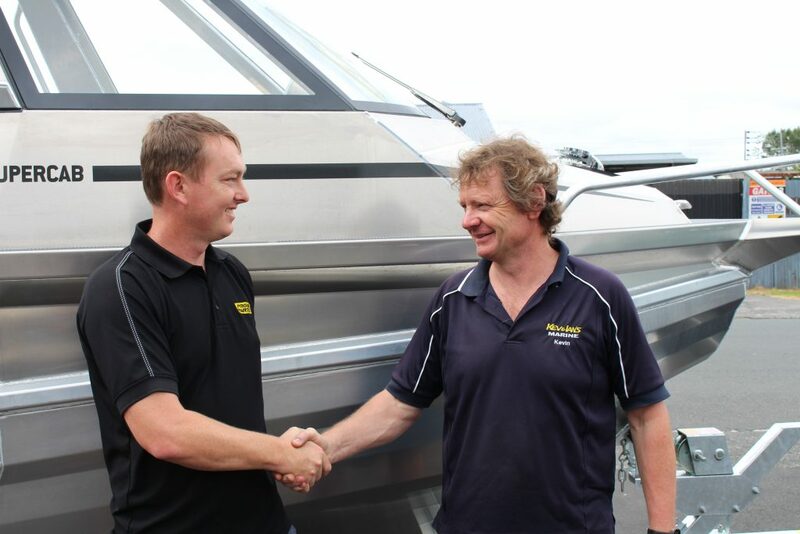 With the ever-growing population south of Auckland, Kev & Ian’s Marine ticks all the boxes by not only offering convenient access to a well-stocked boat yard, but also the opportunity to speak with qualified professionals. Stay tuned for more exciting news, including new product line-ups and a fresh website. Remember to follow us on social media. You can find us on Facebook and Instagram under KevandIansmarine.